Few things impact revenue as much as price. And yet, the average SaaS startup spends just six hours on their pricing strategy. That's not six hours a week, or six hours a month - six hours, ever, to define, test and optimise their price. It's understandable - with such an overwhelming number of pricing models, strategies and tactics available, it's almost impossible to know where to start. the pricing model you'll use to balance value and revenue. the pricing strategies you'll use to achieve your growth goals. the psychological pricing tactics you'll use to fine-tune your price. Read on to learn how to use each of these crucial tools to optimise your price, improve revenue and boost profitability. Finding the right balance between value and revenue - your ability to help customers and be fairly compensated for that help - will make or break your SaaS company. Undercharge, and you'll cripple your business with uncompensated development and delivery costs; overcharge, and you'll throttle your growth and drive away thousands of would-be customers. To help you get the most from your SaaS product, I'm looking at the seven major SaaS pricing models, and exploring the pros and cons of each. Whether you're tied-up in tiered pricing or frustrated by freemium, the pricing models covered here should help you identify the optimum way to market, sell and grow your SaaS business. Flat rate pricing is probably the simplest way to sell a SaaS solution: you offer a single product, a single set of features, and a single price. In this way, flat rate pricing bears a lot of similarities to the software licensing model used before cloud infrastructure existed, but with the added benefit of (usually) being billed monthly. 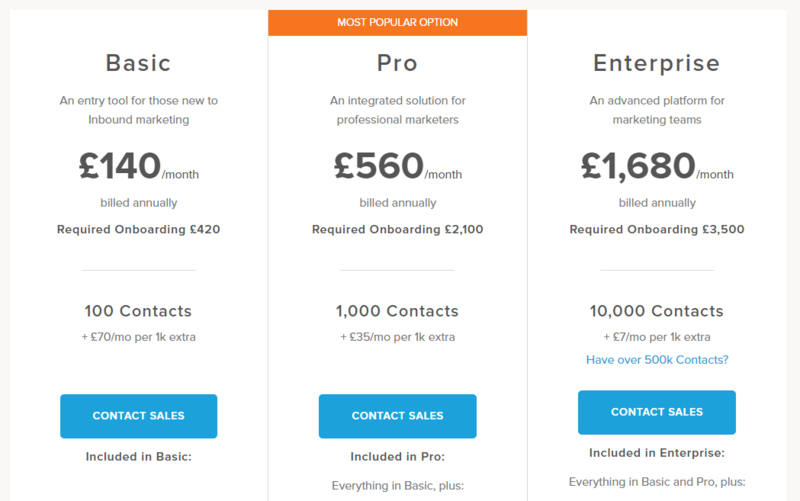 Examples of flat rate pricing are few and far between (the most famous example from recent years, Buffer's Awesome plan, is now one of many pricing packages the company offer) - but the practice is still used by eCommerce SaaS CartHook. Easier to sell. Offering a single product at a single price makes it possible to focus every ounce of sales and marketing energy on selling a single, clearly-defined offer. Easier to communicate. SaaS pricing models can get complicated, and quickly - but flat rate pricing is quick and easy for any would-be customer to understand. Difficult to extract value from different users. If you're targeting SMBs, and use an SMB-friendly pricing strategy, you'll miss out on a fortune in revenue if any Enterprise companies decide to adopt your tool. One shot at securing customers. There's no nuance or flex in flat rate pricing: either would-be customers want the package, or they don't - and there's little you can do to sway them. Also known as the Pay As You Go model, this type of pricing strategy directly relates the cost of a SaaS product to its usage: if you use more of the service, your bill goes up; use less, and your spend decreases. In practice, this pricing strategy is most common within infrastructure- and platform-related software companies (like Amazon Web Services), where companies are charged based on the number of API requests, transactions processed, or gigabytes of data used. Increasingly though, SaaS companies are finding new ways to adapt the model, like social media tools that charge for scheduled posts, or accounting tools that charge per invoice. Price scales alongside usage. It makes sense to correlate usage and price: if you have volatile demand, and use less of a service in a given month, why should you expect to pay the same amount as a boom month? Reduces barriers to use. There are no big up-front costs with usage based pricing, and even the smallest startups can get started with your product, safe in the knowledge that prices will only increase alongside their usage. Accounts for "heavy user costs". With fixed price packages, there's always the risk of "heavy" users taking up a disproportionate amount of your delivery resource, without compensating for it with increased spend. Disconnects value from the product. Do your users really care about the number of API requests they generate? Or do they care more about seamlessly integrating two crucial pieces of software? Harder to predict revenue. Usage based pricing typically means that billing amounts will vary month-to-month, making it much harder to forecast revenue. Harder to predict customer costs. The same problem applies to customers: those with volatile usage may see wild (and potentially unexpected) fluctuations in their monthly bill. Flat rate and usage based pricing are relatively uncommon in mainstream SaaS, and it's tiered pricing which is the de facto model used by most companies. At its heart, tiered pricing allows companies to offer multiple "packages", with different combinations of features offered at different price points. The average number of packages on offer can vary hugely, but the average clocks in 3.5 - often geared towards low, middle and high price points. Appeal to multiple personas. With a single package, you have one shot to resonate with your target customer; with tiered pricing, you can tailor packages to suit multiple buyer personas. Leave less money on the table. By appealing to multiple personas, you can maximise the revenue generated from different types of customer: offering a single $100 package will overcharge users with a $10 willingness to pay, and undercharge users willing to spend $200. Clear upselling route. When your customer outgrows their current package, there's a direct route to the next price point. Potentially confusing. Choices can quickly become overwhelming, and trying to decide between ten price tiers is a rapid route to an abandoned sale. Appeals to too many people. It's tempting to create a wide range of packages to appeal to every possible need - but as the adage goes, you can't be everything to everyone. "Heavy user risk". If top tier users regularly exceed their allocated service usage, you have no recourse for collecting extra revenue to compensate. Spend a few minutes browsing pricing pages and you'll come away with the impression that Per User Pricing (also known as Per Seat Pricing) is the go-to SaaS pricing model. This popularity can largely be attributed to simplicity: a single user pays a fixed monthly price; add another user, and that price doubles; add a third user and, you guessed it, the monthly cost trebles. This makes it extremely easy for customers to understand what their monthly subscription buys them, and easy for SaaS startups to manage and predict their revenue. For an archetypal use case of per user pricing, look no further than roadmapping SaaS ProductPlan. The only variable in their Business Plan is the number of users added to the account, and the per use price is the same, whether you're a single user or a team of 100. Simplicity. Per user pricing is one of the simplest, most direct pricing models, making it easy for would-be customers to calculate monthly costs: great for users, and great for simplifying the sales process. Revenue scales with adoption. With this pricing model, revenue scales directly alongside adoption: if you're able to double the number of users within a company, you'll be rewarded with double the revenue. Predictable revenue generation. SaaS companies are reliant on the recurring revenue model, and per user pricing makes it easy to calculate and forecast each month's revenue generation. It limits adoption. By charging per user, you provide a reason to avoid adding new users to the tool. This also provides an incentive to cheat, and wherever possible, share a single login between multiple team members. It makes it easy to churn. By limiting adoption, you also make it easier for customers to abandon your service. After all, who's more likely to churn? A team of 100 people using your product, or a team of 10? It doesn't reflect the real value. Does it make a difference to a customer whether they’ve got three users or four? When we first started using a project management tool, we used ScrumDo: it was simple, lightweight, and fitted well with our workflow. But problems came when we wanted to add customers to the tool: despite the fact we were trying to spread the product into another company, and a whole new potential customer base, we were penalised by per user pricing. 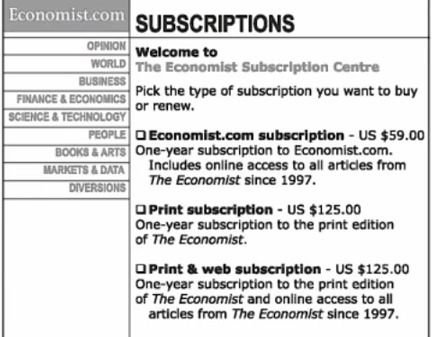 One variant of the per user pricing model is active user pricing. Many SaaS companies (particularly those targeting the enterprise) encourage yearly billing cycles. This can mean that a new customer could pay for hundreds of employees, up-front - without any guarantee that those employees would actually use the software. Per active user pricing tackles this problem head-on, encouraging customers to sign-up as many users as possible, with the safeguard that only active users will actually be billed for. 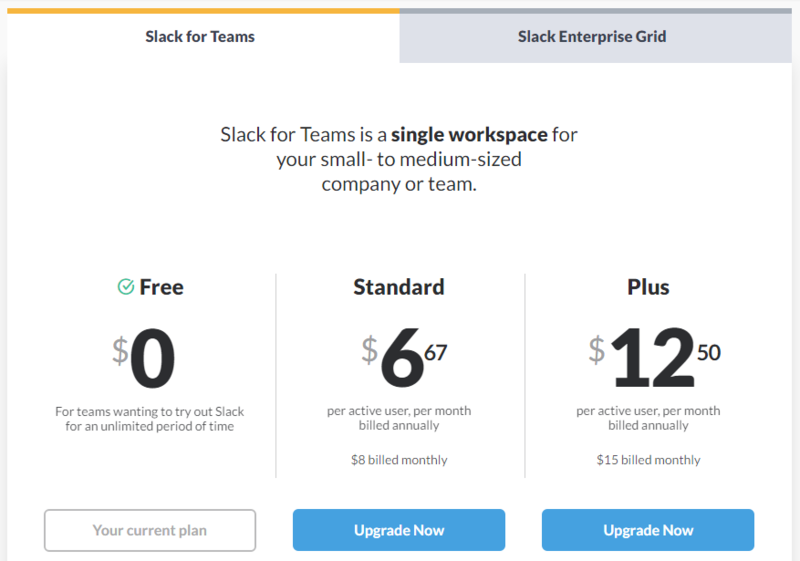 Slack are the most famous example of this SaaS pricing model: no matter how many users you pay for, you'll only be charged for those that actually use the software. At Slack, you only get billed for what you use. So you don’t pay for the users that aren’t using Slack. And if someone you’ve already paid for becomes inactive, we’ll even add a prorated credit to your account for the unused time. Fair’s fair. Customers only pay for active users. This means no money is wasted on unused seats: customers only pay for what they actually use. Reduces the risk of widespread adoption. If you're selling into an enterprise company, you want to encourage as much adoption as possible. Per active user pricing makes it easier for companies to take the risk and initiate a company-wide roll-out - if it doesn't work, they don't pay. Doesn't work so well for SMBs. This pricing model works great for improving adoption in enterprise organisations, but when cash is tight and team sizes are small, per active user pricing doesn't offer much extra incentive to bite the bullet. For the previous two SaaS pricing models, users were the common variable, but it's completely possible to use features as your value metric instead. Per feature pricing separates out different pricing tiers according to the functionality available in each, with the higher priced packages associated with a greater number of available features. 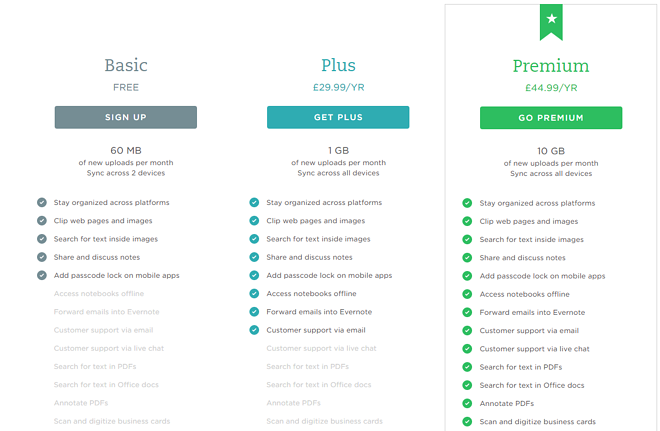 The primary differentiator between Evernote's Basic, Plus and Premium packages is the different range of features on offer, with new functionality "unlocked" with each upgrade. Strong upgrade incentive. Per feature pricing offers a clear and obvious motivation for upgrading: you unlock extra functionality. Compensate for delivery-heavy features. Some of your features may require a disproportionate amount of resources to deliver - per feature pricing allows you to appropriately compensate, by putting these features into your top-tier packages. Difficult to get right. How do you know which features your users will want? Getting the balance wrong can discourage adoption, as crucial features end up in overpriced tiers, or the bulk of your product's benefit ends up in your cheapest package. Leaves a bad taste. It's easy to feel resentful with per feature pricing: you're paying a monthly fee to use a product, and still, you're missing out on some of their functionality. 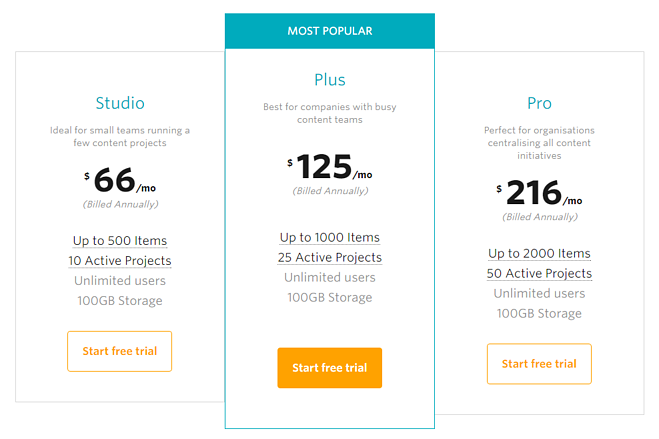 Thanks to high-profile success stories like Slack, Evernote and Dropbox, many SaaS companies use freemium pricing: offering a free-to-use product, supplemented by additional paid packages. 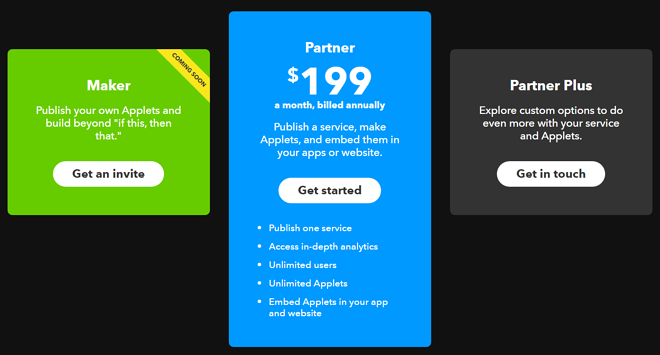 The freemium business model is typically used as part of a tiered pricing strategy: the regular paid packages are supplemented with a free, entry-level tier. That tier is then limited across certain dimensions in order to encourage users to upgrade at a certain level of usage, typically employing feature-based (if you want X feature, you need a paid package), capacity-based (if you exceed your allowance, you'll need a paid package) or use-case (you can use the free package internally, but not for managing customers) limitations. 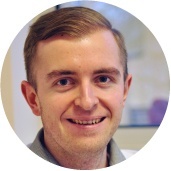 Live chat SaaS Drift use freemium pricing to great effect. Their "Free" package allows small companies to talk to their first 100 contacts for free: when demand for the service increases beyond that point (most likely correlating with company and revenue growth), it becomes necessary to upgrade to their paid packages. It's a foot in the door. Initial adoption is one of the biggest challenges facing a SaaS business, and the freemium model makes it as easy as possible for customers to get started with your product. Viral potential. With such low barriers to use come significant viral potential: companies like Dropbox grew so rapidly because of user referrals, as their existing users passed on the product to friends and colleagues. Freemium is a real revenue killer. Free users don’t generate any revenue for your company. This means that your paid users need to generate enough revenue to support the cost of acquiring and serving all of your users - paid and free. It's easier to churn on a free package. The more we pay for things, the more we value them. While a free-to-use version of your SaaS product makes widespread adoption simple, it also makes it easy for users to adopt a throwaway mentality, increasing churn as a result. It can devalue your core service. If your product solves a painful, expensive problem for free, your users have may resent having to eventually pay for the service. Your pricing model is at the heart of your SaaS business: it's the foundation that allows you to build out repeatable sales processes and generate recurring revenue. But, within the framework of your pricing model, there are all-manner of different goals you'll need to hit on the way to your over-arching objective of "growth". That's where SaaS pricing strategies come into play. Each of these strategies is suited to a different objective: whether that's rapidly expanding into a new market, or attracting particularly high-value customers. 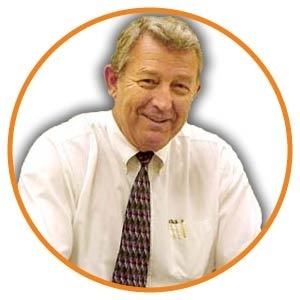 Penetration pricing is the strategy of reducing prices to rapidly gain adoption in a target market, and secure the "first mover" advantage: claiming market share before your competitors can beat you to the punch. Land and expand strategies have been used to great effect by companies like Slack and New Relic. In order to do so, companies often lower their prices to unsustainably low levels in the short- to medium-term, but aim to compensate in the longer-term, when they'll be able to upsell and cross-sell their large customer base onto a more profitable package. This "land and expand" strategy has been used to great effect by companies like Slack and New Relic, using penetration pricing to grab the lion's share of the market before their competitors. Captive pricing (also known as captive product pricing) is the practice of offering a "core" product for a lower-than-expected price, but charging extra for additional products that are required to get the most from the core product. One classic example is the printer: most modern printers are sold for extremely low prices, but as soon as your ink runs out, you're forced into shelling-out for expensive, own-brand ink cartridges (the captive product), which are usually far more expensive than the printer itself. For equivalent examples in software, imagine offering graphic design software at a nominal price, but requiring users to download stock imagery from the company's own stock photo service. Or for a real-world example, the case of Adobe, offering older versions of their software for free, but gradually eliminating backwards-compatibility, forcing users to upgrade to an expensive paid version if they want to collaborate. Skimming pricing (also known as promotional pricing) is the strategy of setting a high initial price for a new product, before slowly lowering the price over time. Skimming pricing is sometimes referred to as "riding down the demand curve": as the product's price is lowered over time, it appeals to different sub-sections of the marketplace, and customers with different price sensitivities. The best examples of skimming pricing can be found in tech: Apple products are famous for heavy discounting just a few months after launch, and in video gaming, prices steadily decline from release. In SaaS, this strategy works because of the Technology Adoption Lifecycle: early adopters gain utility from the bragging rights of first access to new technology, and they'll often pay more for access to new products. As the product matures and prices are reduced, it begins to appeal to the later market. Prestige pricing (also referred to as premium pricing) is the strategy of maintaining high prices, in order to convey a sense of quality, exclusivity or luxury. In doing so, companies can maintain a (relatively) small customer base of high-value customers; customers that would likely abandon the brand if prices were to decrease. There are a few ways to leverage prestige pricing in SaaS. If you're a well-known brand, or your product is used by high profile companies, you may be able to differentiate yourself by reputation, allowing you to charge a higher price in the process. In other cases, it may be possible to offer a "premium" tier, containing best-of-everything features, rounded price points ($500 instead of $499) and additional recognition for being a "premium" customer. The first thing you have to understand is the selling price is a function of your ability to sell and nothing else. What’s the difference between an $8,000 Rolex and a $40 Seiko watch? The Seiko is a better time piece. It’s far more accurate. The difference is your ability to sell. Free trials are a staple of SaaS pricing strategies, and with good reason: by offering the product for free, for a limited time, you provide a quick foot-in-the-door. Customers can start using your product without any financial expense, and as long as they're able to benefit from the product during the trial, there's a strong incentive to upgrade when the trial ends. 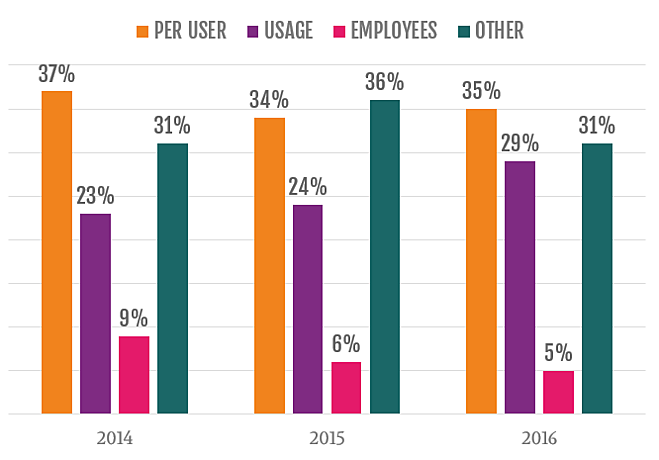 Research by Totango shows that 44% of all SaaS companies offer a free trial. Free trials are typically time-limited (the most common length is 30 days), but it's also possible to restrict it by usage (with the trial expiring after 5 invoices, 1 video file, etc.). Crucially, half of all free trial signups occur after the trial has ended, so it's important to have a well-defined follow-up sequence. Cost plus pricing (also referred to as cost based pricing) serves as a starting point for many SaaS companies. Developing, marketing and selling a product takes resources and, of course, money: cost plus pricing is the practice of adding a target profit margin to those costs (say, 20%), and setting that as the price for your product. Cost plus pricing doesn't take into account competitor pricing, the perceived value of the product, the price sensitivity of their customers, or any of the other inputs that should influence pricing. But pricing discussions have to start somewhere, often with limited information - and in these instances, cost plus pricing can be a useful framework for kick-starting your thought process. Cost plus pricing is very company-centric: it's an exercise in choosing the profit the company wants, with little regard for the customer that supplies that profit. Value based pricing works in stark contrast, using the perceived value of the product as the benchmark for price setting, instead of costs, competitors or target margins. If you're looking for a good starting point, check out the 10x Rule. Value based pricing isn't a quick-win - it's a long-term change to how prices are fundamentally viewed - but if you're looking for a good starting point to transition to value based pricing, check out the 10x Rule. In simple terms, it's the idea that the value your product provides should be ten times its price, providing a simple heuristic for framing your pricing decisions. Even after you've decided on your SaaS startup's pricing model, and settled on your strategy, there's still room to dramatically improve your price. 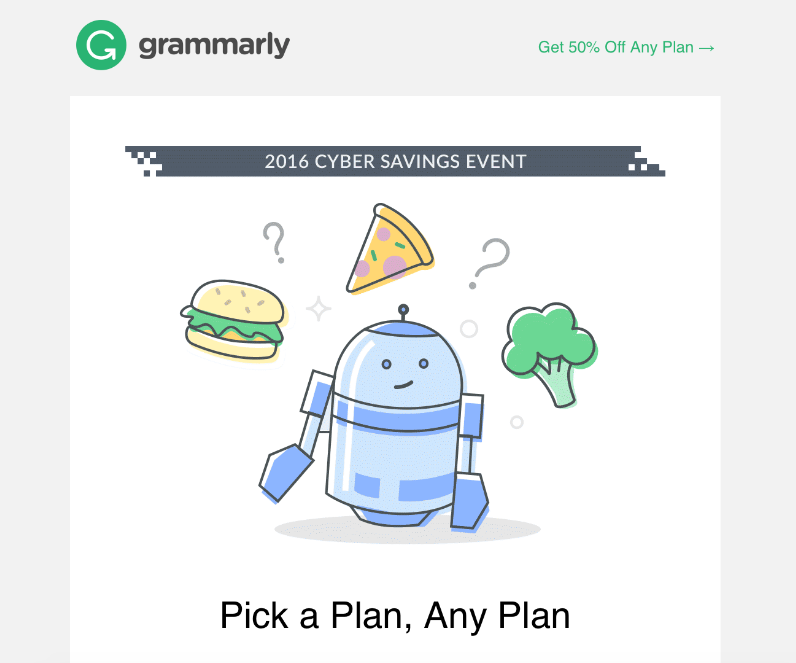 That's where psychological pricing strategies come in. Think of these like the icing on the cake: smaller experiments that can be used to fine-tune and optimise your pricing. There's a degree of stigma associated with pricing psychology, perhaps rightly so: I've seen companies use the power of psychology to exploit and mislead customers. Thankfully, the strategies deployed here aren't designed to coerce unwitting customers into buying more than they want: we're simply working alongside the brain's innate processes to reduce friction, and make the sales process as effective and efficient as possible. Price is a relative concept, and when we assess the price of something, we use a reference point to work out its value. If we were buying a car, we'd compare its price to the price of other cars on the lot, or on eBay; an item of jewellery, and we'd turn to similar pieces in the jewellery shop next door. Price anchoring is a way to leverage this heuristic to increase your customer's willingness to spend. Imagine you're buying a shirt. When you enter the store, you have a clear budget in mind - $50 - but you soon find yourself steered towards a display of high-end suits by the enthusiastic salesman. The suits are all over $2,000, and though you humour the salesman, you have no intention of buying one. A few minutes later and you find yourself standing in front of a display of shirts, starting at $100 apiece. With the $2,000 price tag fresh in your mind, paying $100 for a shirt seems reasonable. Before you know it, you're stood at the checkout with your new shirt. Before entering the store, you had a price of $50 in mind, and spending $100 was a huge price increase. But after the salesman's slick manoeuvring, your subconscious price reference became a massive $2,000 – and that $100 seems much smaller in comparison. 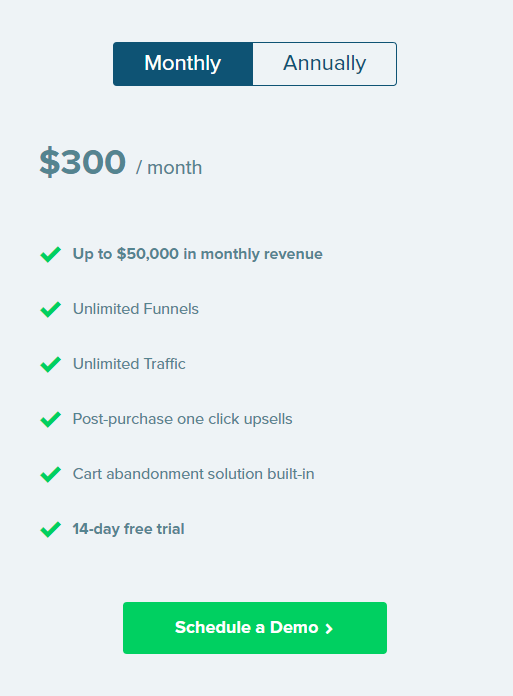 CRO SaaS Convert use price anchoring to great effect on their pricing page. Their lowest priced package is a hefty $499, but by positioning their most expensive package on the left of the page (and therefore the first package would-be customers come across), both their Pro and Lite packages seem like relatively good value in comparison. On your pricing page, draw attention to your most expensive package, even if most people don't buy it. Your top tier package becomes the visitor's price "anchor", making your other packages look more affordable in comparison. When up-selling or cross-selling, start by pitching your most expensive upgrade or add-on, before working down to your more "reasonably" priced options. Charm pricing refers to the use of prices ending in the number nine. It's suggested that this psychological pricing strategy works because of the "Left Digit Effect". Our brains process numbers extremely quickly, making snap judgments about prices and values without any conscious awareness. When we see a $400 product, our brain latches on to the first number - the left digit - and creates an accurate, subconscious reference point of $400. But when we see a $399 product, that same Left Digit Effect creates an inaccurate reference point of $300. In Priceless: The Myth of Fair Value, William Poundstone's famous meta-study found that charm pricing (like $399) outsold rounded price points ($400) by 24%. Though the difference could be accounted for by virtue of lower price, MIT's famous study found that clothing priced at $39 outsold identical items priced at $44 and, unbelievably, $34. 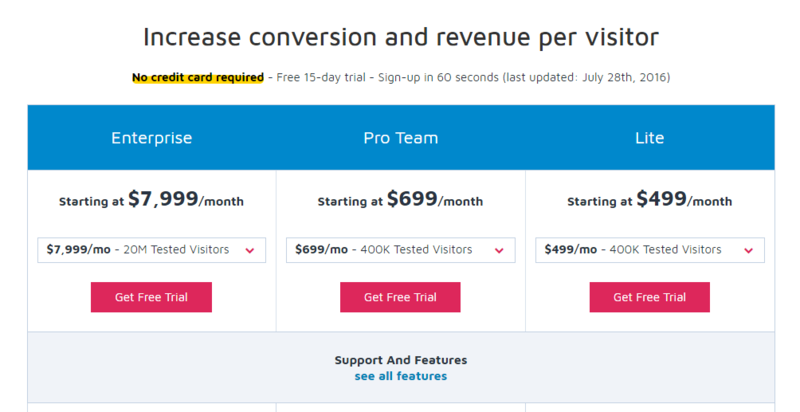 Run an A/B test to monitor conversion rates for a round figure monthly subscription (like $60), and a price ending in nine ($59). If you're feeling really adventurous, you could even test a higher charm price (like $69). Odd-even pricing works on a similar principle to charm pricing: prices are reduced by a few dollars to bring them just under the nearest "rounded" price point. Whereas charm pricing exclusively uses prices ending in nine, odd pricing uses, you guessed it, odd numbers - think $7.47, $97 or $493. Charm pricing is an extremely common pricing strategy - so common that it's even possible that we're developing new heuristics to overcome its psychological impact, and correctly associate a $399 product with a $400 price tag. But odd-even pricing is less commonly used, and that novelty value can be enough to trigger the Left Digit Effect: when customers are growing blind to charm pricing, offering something for $37 a month might be enough to increase your conversion rates. Review your competitors' pricing strategies. If charm pricing is the dominant approach, opt for odd-even pricing instead. As always, use A/B testing to monitor the impact the change has on conversion rates and sales revenue. Product bundle pricing is the practice of offering several products for a single price. Typically, the bundle price would offer each component product for less than its individual price (assuming it's even possible to buy the products individually), but because the bundle encourages the sale of products that might not otherwise be bought, can still represent an increase in overall profit. Product bundle pricing is great for simplifying complex sales process, especially when a multitude of apps and add-ons are available. It's also great for drawing focus away from the individual product prices, and encouraging outcome-oriented thinking: customers are encouraged to think about the value of a "productivity suite" or "design studio", instead of individual SaaS products. For an example of product bundle pricing, look no further than Microsoft's Office 365 suite. Office products are now available exclusive through a monthly subscription service, and there's no way to pick-and-choose which products you want to pay for, and which you don't. I use Word, Excel and Powerpoint on a daily basis, and would gladly pay for each application - but I wouldn't touch Access, Outlook or Publisher with a barge pole. But because the products are bundled together, I pay a flat monthly fee, and I have all a whole host of Office products installed on my desktop. If you offer a range of standalone products, try offering them as a single bundle. This can be especially effective for encouraging the sale (and use) of more niche products, by selling them alongside more popular products. High-low pricing is most commonly used in the retail industry, but it does have some application in SaaS. In essence, high-low pricing is the act of alternating between a "high" price and a "low" price: a product is marketed at a premium price, before eventually being reduced to a lower, discounted price. High-low pricing uses price anchoring to encourage sales: the product's value is associated with the original "premium" price, so when a discount is applied, customers view the reduced price as a particularly great deal. But a word of warning: high-low pricing will drive-up demand in the short-term, but long-term discounting is dangerous. If you regularly discount your product, you risk anchoring the product's perceived value to that lower price, and create a culture of bargain hunting where customers will wait for a deal before ever purchasing your product. If you're going to use high-low pricing, use it very sparingly: discounts need to feel like truly exceptional, once-in-a-lifetime deals, so reserve them for serious promotion drives, or use them to solicit powerful social proof for your business. Trial pricing is the tactic of offering your SaaS product at a reduced price for a limited time, usually as part of an introductory offer. Whereas the industry-standard free trial is, as the name suggests, free, trial pricing still charges the customer a lower-than-normal fee. Trial pricing reduces the barriers to actually starting with your product, with the idea being that once a customer has seen how useful your product is, they'll be more than happy to pay the increased rate after the trial expires. 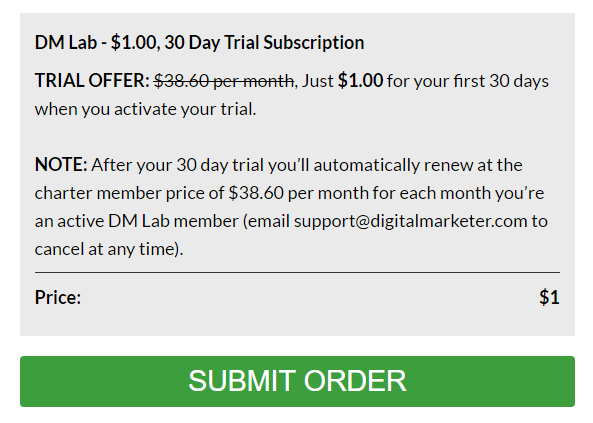 The most common example of trial pricing I've come across is the (infamous) $1 trial: instead of offering customers a free trial, they're asked to shell-out a dollar for the privilege. Most of the companies I've seen using trial pricing fall toward the shadier end of the business spectrum, often using the approach in combination with other less-than-savoury tactics, like auto-renewing for a higher price (as demonstrated by Digital Marketer). If you're going to offer a trial, make it free. Trial pricing carries with it the same risks as high-low pricing and discounting, with the added disadvantage of lowering signups and conversion rates. The psychological pricing strategies covered here are designed to work alongside the brain's decision-making framework. Analysis paralysis (also know as the paradox of choice) is an example of a heuristic your pricing strategy needs to avoid triggering. Research suggests that the maximum number of objects a person can hold in working memory is 7±2. If a decision requires the assessment of a greater number of choices (say 10), it becomes much harder to remember the choices on offer, and accurately decide between them. This means that, past a certain point, there's an inverse relationship between number of choices and decisions made. The most famous example of this is Columbia University's study into jam sales: when customers were offered a range of 24 jam flavours, 3% went on to make a purchase. But when the choices were restricted to just 3 flavours, 30% went on to buy. Though they've done an admirable job at bundling the packages together, there's still a huge amount of choice available. Do I want Acquire Lite or Acquire Standard? What about Engage Lite or Engage Standard, or Resolve Lite, or Resolve Standard? What's the Educate package? 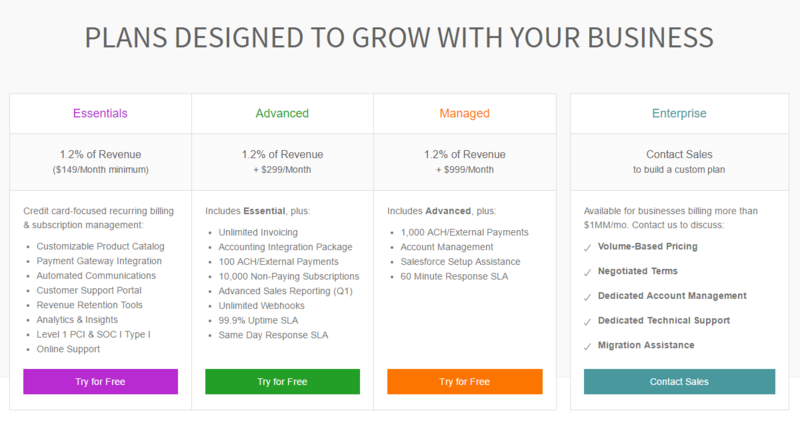 The biggest, most successful SaaS companies have an average of 3.5 packages available on their pricing pages. This relatively low number makes it easy to compare packages and find the best fit, without succumbing to the confusion and complexity of analysis paralysis. Decoy pricing is the use of a seemingly redundant pricing option (something that's obviously less desirable than the other products on offer), in order to influence how customers choose between the remaining products. When Dan Ariely tested the impact of this psychological pricing strategy, he found that the decoy effect generated an additional 30% in revenue from the same number of sales. Here's a relevant example from a subscription-based company, Shutterstock. On the left, their "Basic" package offers 25 images for €179, but their middle option offers 750 images per month, for a price between €159 and €199, depending on the package you choose. That's thirty times as many images, for the same average price. Whether you offer different pricing packages or a range of add-on prices, you can use the decoy effect to frame particular offers. For example, you could offer a "Basic" package with 50 users for $100/m, a "Pro" package with 100 users for $150/m, and offer "50 Additional Users" as a standalone add-on for $150/m. This might be because the "middle" option in a selection of three is usually perceived as the "average" choice: the middle choice is usually sandwiched between two extremes, Small and Large, or Cheap and Expensive. For the average customer, choosing the average option is probably a safer bet than taking a risk on something that might be too extreme across a particular dimension. There's also a bit of a chicken-and-egg situation here: middle options might be perceived as popular because the center stage effect is itself increasingly popular, and usually combined with strong elements of social proof, like "Most Popular" labels. The center stage effect is common in SaaS, and chances are, most pricing pages you'll visit will leverage it in some form. 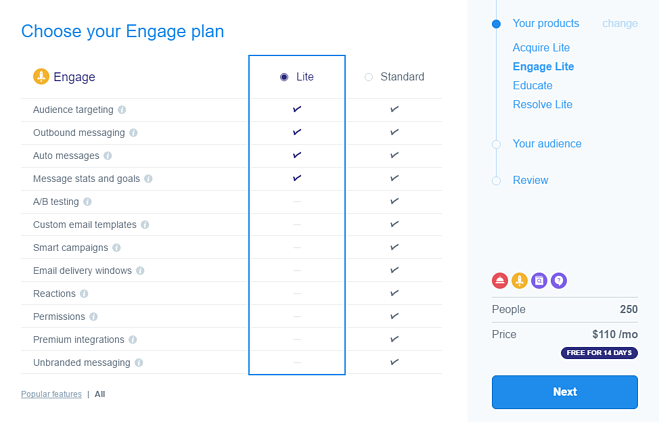 Gather Content have a clear, effective application on their pricing page: their "Plus" plan has a "Most Popular" label, a coloured CTA button where the others are white, and the column is even slightly offset from the others to further highlight it. Whenever we talk to SaaS founders, pricing is an issue that comes up time and time again. So to keep the momentum going, and help you to continually improve your pricing, revenue and profit, we put together a free email course. SaaS Pricing Checklist, to identify the strengths and weaknesses of your current strategy. Freemium/Premium Calculator, to show you how to make more money with Freemium and Premium pricing. 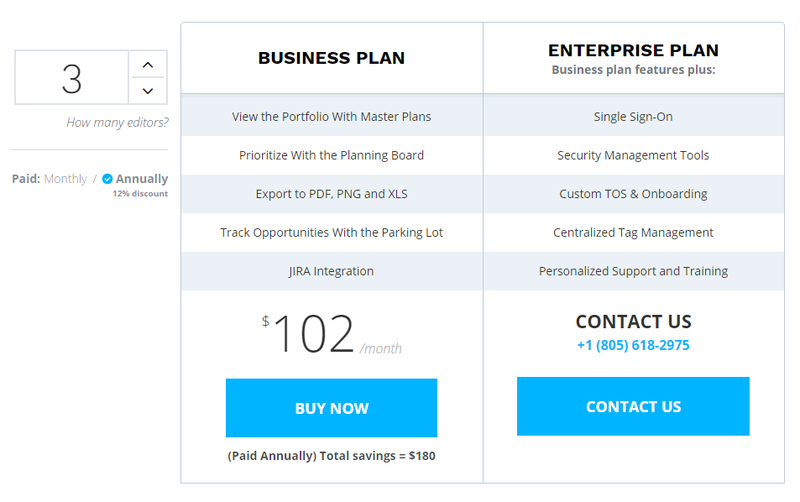 Pricing Page Template, to help you design the perfect pricing page. 5-page, hands-on guide to getting your hands dirty, and changing your price for the better. If you're keen to keep on improving your price, you can subscribe to the free email course by clicking the button below.